Søren: The Navigator and Engineer, on the other hand, are a bit more complex. The caves are generally pitch black, and all the Dwarves are equipped with short-lived flares. But when you really want to light up the caves, the Navigator is your guy. He has a dedicated Flare Gun that shoots long-lasting and longer-ranging plasma-flares that sticks to ceilings and walls. He quickly becomes the central point of the group as everybody is relying on his ability to light up the caves and find the way. He also has a fancy Grappling Hook, so he can zip around and find the next exit or gold vein. Finally, there is the Engineer. As mentioned before, he can place Gun Turrets which are very effective against lots of small enemies. For exploration, he can place Zip-lines across chasms and he also has something called a Platform Gun, which can place - well you guess it - platforms! Very handy for creating your own jump puzzles. Of course, the platforms are part of the terrain and can be dug into just like everything else. Co-Optimus: Is there any set end goal for the game, or is it just open-ended to let players go along as they can? Søren: Right now, we have no overall end-goal to the game. Each mission will have a specific goal, like gather X gold or find some alien artefacts or a lost mining operation. Some of the mission will be on timers, some will be endurance tests, like: how deep can you go? The end of the game will probably more be linked to you upgrading the various classes and exploring the content. Of course, we plan to continuously release new content, so in some sense it’s a game- as-a- service experience. We want the game to be a playground where players will stay for a long time and return to for years to come. That said, we do have plans for narrative, but unlike something like Mass Effect, it will not be a story focused on the players. It’s more background and environmental storytelling. 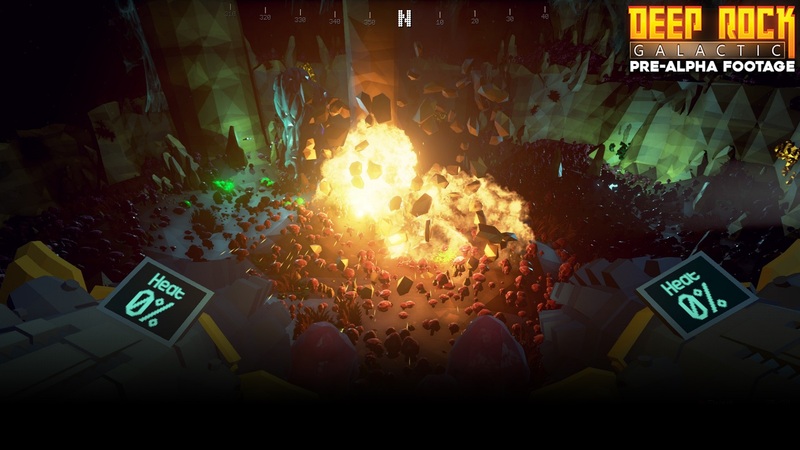 The setting the game takes place in, the history of the planet you’re on, and the longer-reaching objectives of the mining corporation Deep Rock Galactic that you work for. Why are Deep Rock Galactic mining this forsaken place? What is down there, in the deep? What ARE those alien artifacts? And what killed the previous mining operations? Co-Optimus: Aside from Left 4 Dead and Minecraft, have there been any other co-op games you all have been enjoying or served as an inspiration? Søren: Absolutely. We’re paying very close attention to other modern co-op action games, like Killing Floor, Payday, Vermintide, Warframe, Borderlands and Helldivers. All of those are excellent examples of well-designed co-op games with high production values, and they’re all serving as valuable reference in our design discussions. Lately, Helldivers has come up a lot when we discuss our approach to match-making and the meta-game where you customize loadout. Also, their simple approach to using drop-pods for new resources and join-in- progress has been an inspiration. But we are also taking cues from Team Fortress 2 and Overwatch, even though they are PvP focused. Games should not be created in a vacuum, in our opinion. 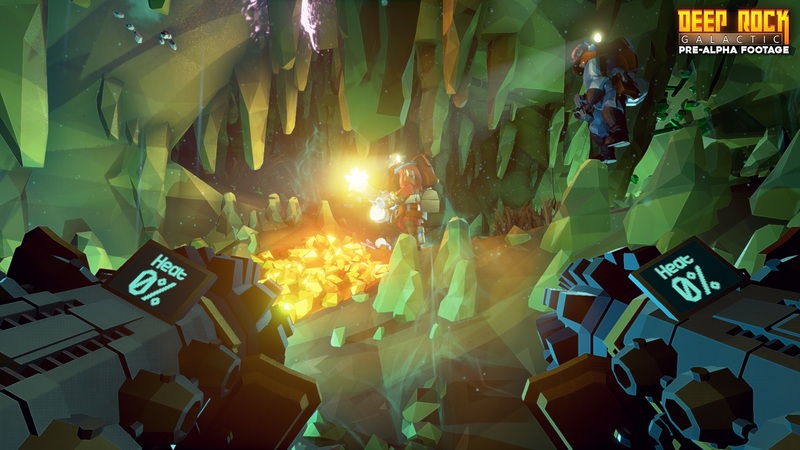 If it was not for the games from our past, we could never have come up with Deep Rock Galactic. It’s with both pride and reverence we stand on their shoulders. We aim to continue what they started, and to be the next link in that continuing evolution. We'd like to once again thank Søren and everyone at Ghost Ship Games for taking the time to talk with us and answer our questions. You can sign up to try and participate in the closed alpha testing of Deep Rock Galactic over at Ghost Ship's website. Page created in 0.3887 seconds.